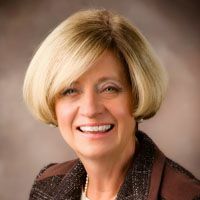 With a doctorate from Johns Hopkins, Julie Fisher Melton has been a consultant on micro-enterprise and on partnerships between northern and southern NGOs to Save the Children, Technoserve, and many other organizations. She taught World Population at the Yale Forestry School and comparative politics plus The Politics of Third World Development at Connecticut College. Most recently she spent ten years as a Program Officer at the Kettering Foundation. Her numerous publications include three books about indigenous NGOs: The Road from Rio: Sustainable Development and the Nongovernmental Movement in the Third World, Non-governments: NGOs and the Political Development of the Third World and Importing Democracy: The Role of NGOs in South Africa, Tajikistan, and Argentina.